Young Japanese musicians and story tellers in kimono and sugegasa headwear. 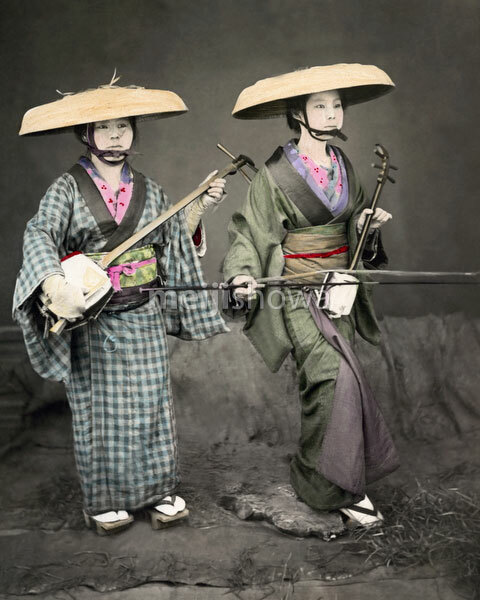 The woman on the left is playing the shamisen, a three-stringed musical instrument played with a a bachi (plectrum). The other woman plays the kokyu (胡弓), a string instrument often used for ensembles with the shamisen and koto.